You have questions, he has answers. 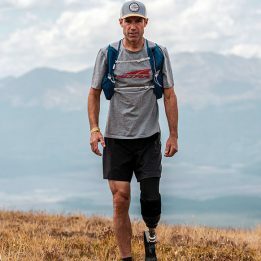 We recently interviewed the elite trail runner Rob Krar, winner of the 2015 Western States 100 Endurance Run, 2015 Run Rabbit Run, 2015 Leadville 100 and 2018 Leadville 100. Beyond his trail mastery, Krar is known for being open about his depression and life struggles. Here is our version of “Ask Me Anything” with Krar. You put on running camps—what is your favorite part of your camps? The formation of lifelong friendships. We have two dinners at our home. The first is full of nervous energy. The second you’d be hard pressed to know that the campers met only days before. What is your favorite ultra? Western States. It literally changed the course of my life. Does your beard give you extra race-winning super powers? Yes, indeed. What do you like to eat right before a race? 90 minutes ahead of start, coffee and Picky Oats. Anywhere you want to run/compete that you haven’t already? Hardrock 100. How can a person train for ultras when you live in a very flat area at sea level? Treadmill workouts. Stairs. Strength and conditioning. Consistency. 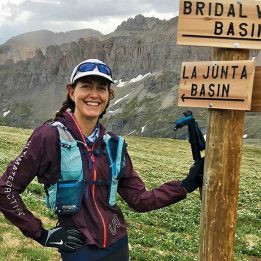 How did you know ultra running was what you wanted to do? The very first 50K was the genesis of the phrase in my Instagram profile, “I run far, 100 miles at a time, and I control the pain.” It was meant to be. What’s the best winter training? Ski mountaineering and Nordic skiing. What running shoe-sock combo do you wear and why? Just like the PhD Pro® sock, the shoes I wear—The North Face Flight RKT—are everything I need and nothing I don’t. Hi Rob, what’s your average mileage per week? Very broadly, 60 to 100 miles per week during focused training blocks. Caution—don’t get too wrapped up in the numbers game! What are runners overdoing? Likeliest culprit are miles and intensity. Keep easy days easy and hard days hard. CBD, yes or no? No, but I’m curious to learn more. Could it be just a fad? What is your daily food intake? Grains and greens mostly. See Christina’s [Rob’s wife] blog for the details. What else besides running fulfills your soul? This. What are your top three nutrition tips for racing? Fuel early and fuel often. Don’t get behind. 200 to 300 calories per hour, every hour. What are your top three nutrition tips for training? Avoid extremes. Refuel promptly after a long run/hard effort. Indulge, in moderation. 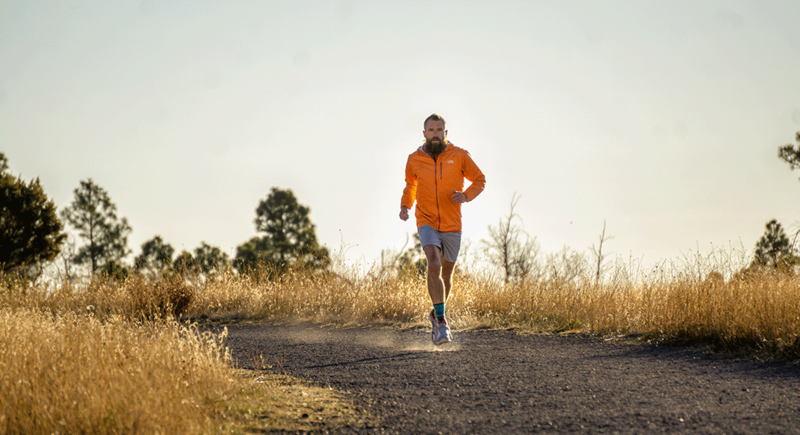 Has running ever worked against your depression and suicidal thoughts or was it a tool for happiness? Always a double-edged sword but the benefits far outweigh the negatives. If someone were just getting started in ultra running what is the biggest piece of knowledge you can give? Run with a purpose, appreciate the process, stay patient. How do you regenerate your legs? Active Isolated Stretching and NormaTec are my go-to recovery tools. 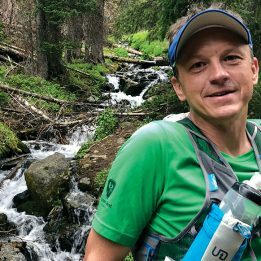 When running an ultra, how do you know if you can push through the difficulty or if it’s safer to pull out? Trust your instinct, err on the side of caution. No single race defines you, always keep the long game in focus.